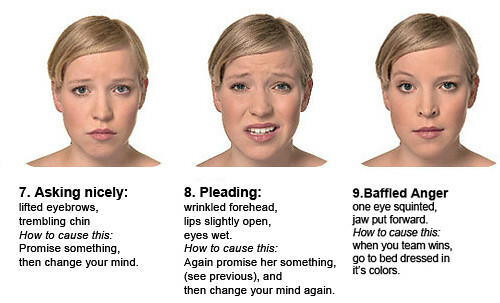 Finally, there is a guide to women's facial expressions and how to provoke each one in your own girlfriend. Note: use it at your own risk. The original was published here, so I did the translation, and intend to broaden the scope a little, with your help. 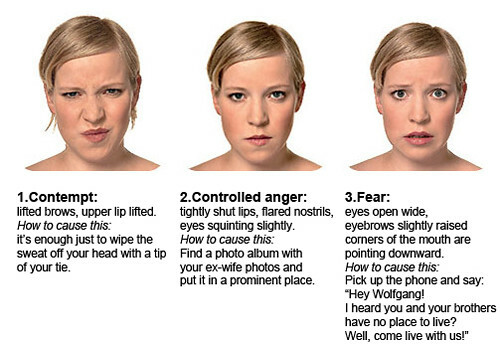 Send in pics of other emotions, not covered here, for example: "uncontrolled anger", "sheer excitement", "love is in the air", "ecstasy from shopping" etc. 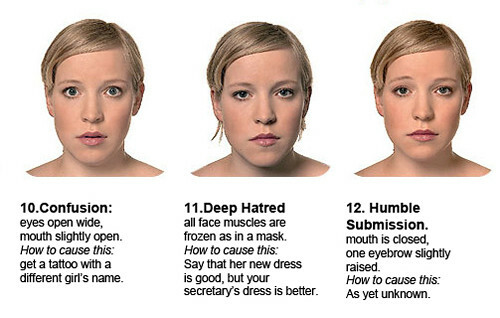 Male images are actually from: www.emoticonman.com. Thanks.